This job role requires that you have an exceptionally keen eye for process improvement in every aspect of the business and/or technical system, understanding interaction and synthesis between technology and human capabilities at all stages of client acquisition, conversion and fulfilment. You should have and display an immense curiosity and dissatisfaction when interactions between many of different people and their tools become either ineffective or inefficient! In the long-term, the scope for this job role includes assisting other staff on a day-to-day basis with client fulfilment duties and responsibilities. As you progress in your knowledge, abilities and expertise, you will be asked to support directors and executives in their efforts to shape and revise strategies over time for business and technical operations. You will be expected to increasingly take responsibility and leadership for tactical decisions in support of our overall business strategy and objectives. You should have a fundamental competency in general business management principles, systems analysis, productivity analysis and cost control, and project management (i.e., strategic planning, delivery estimates, project budgeting, staff scheduling, etc). This job role forms an essential part of our cross-functional team structure, involving human resources, data analysts, researchers, administrators, marketing and sales teams, customer support and system developers. You should have “people skills” and be comfortable with both rational analysis and creative problem-solving, and have knowledge, interest or awareness of modern internet and mobile technologies. In short, you will need to support and/or oversee the (re)design and implementation of control processes that enhance the efficiency of production and project delivery, while ensuring client fulfilment is error free, efficient and that staff are highly effective in meeting customer requirements. You do not need to be an expert in all of these areas, but your familiarity, appreciation and high capacity for learning will be considered an asset to this company. The domain of operations entails strategic and functional roles for project and product delivery. The opportunity for this position is to be the force behind development and delivery of highly effective and purpose-driven business and/or technical systems. In this way, your efforts are expected to keep up with delivery demands while also continually advancing our scalability and delivery capacities as a business. Focus for business operations ensures scalable delivery of business solutions. 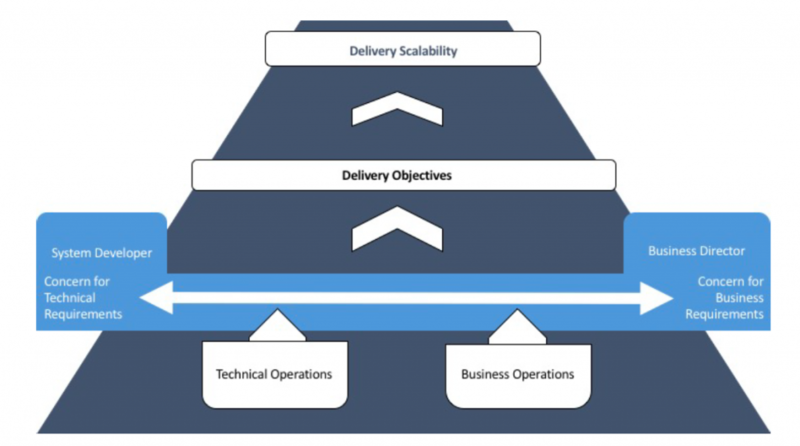 Focus for technical operations ensures scalable delivery of technical solutions. System delivery management: Organisation of system deliveries and schedules. Systems stability: Removing friction in the processes so technical systems running smoothly. IT change management: Development and implementation of many complex/high risk IT objectives. IT specifications and requirements documentation: Ensure the solutions we provide to our clients are well-­considered and meet their needs, helping interpret technical information in a way that non-‐technically minded people can understand (and vice versa). Management of information requirements: Provide clear consistent documentation, diagrammes, data modeling and risk tables. Risk management and reduction: Assume lead role in version control and human testing to establish robust system testing procedures. Client and internal technical support: Bridge the gap between the technical and non-­‐technical staff to ensure issues are resolved as they arise. Prioritise system stability and user experience. Invest in staff development: Streamline and support in staff training to improve our technical capacity to provide reliable support. Embrace leadership roles and have a comfort with making decisions. Participate in strategic discussions and then lead implementation. Discover and support growth opportunities by ensuring the right resources are allocated appropriately to capture growth opportunities. Take responsibility for a diverse range of day-to-day operational demands. Knowledgeable of how to build capacity and scale up production. Execute transformational or change management projects. Drive innovation and technical improvements. Have low tolerance for inefficiency. Proactively organise, prioritise and drive needed adjustments and changes in the business. Spot interdependencies between different activities across the business. Integrate separate business activities into a cohesive system or process. Optimise operations performance, to deliver cost efficiency and effective risk management. Ensure the company is operating effectively between people, roles and departments. Understanding for the role of ethical standards. Break down functional or geographic silos and identify ways of combining assets to drive efficiencies and transfer best practice. Recruit, retain, and develop talented people across the company. Work on different projects over a short period of time and shifting workloads. Work independently and coordinate activities as a team. Communicate with excellent verbal and written skills. Bachelor’s degree in relevant subject (or currently studying with similar grades), such as management science, business analysis, or human resources. This requirement can be replaced with up to 4 years of demonstratable work experience. Master’s or PhD degree in relevant subject with high grades (or currently studying for one of these degrees with good results). In your cover letter, you should include an example of work you have done to develop an effective internal system, either for monitoring, improving or evaluating project delivery. This will be referenced and discussed in your job interview.